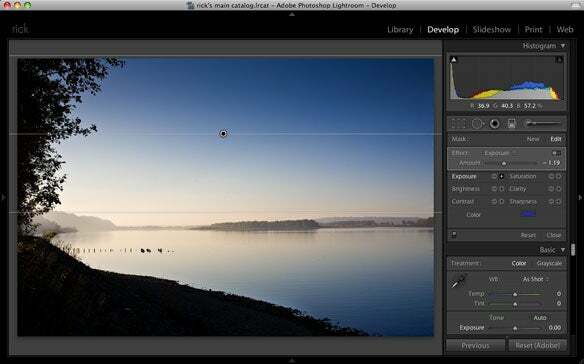 Photoshop Lightroom, Adobe’s first attempt at a photo-management and -editing tool specifically for photographers, was a solid application when it was first released in 2007. And Lightroom 2.0, which is available now, comes with a large list of new and enhanced features. Many of the improvements are small ones that focus on usability and productivity, but they add up to real improvements that make it easier to manage photos. Adobe has also expanded Lightroom’s editing functionality significantly, making it less likely that you’ll need an external photo-editing program (such as Adobe Photoshop ( ) or Photoshop Elements ( ) to work on your photos. Lightroom’s hallmark has been its organizational capabilities and the fact that it lets you edit your photos nondestructively (this simply means that any adjustments you make to an image do not physically alter the original; you can always return to your original photo). Lightroom 2.0 preserves those strengths; in fact, a cursory look at the update might convince someone that very little has changed. The same five modules—Library, Develop, Slideshow, Print, and Web—still anchor the program, but Adobe has reordered and refined things considerably, so you can easily get to your images, edit them, and present them for viewing on screen, in print, or on the Web. 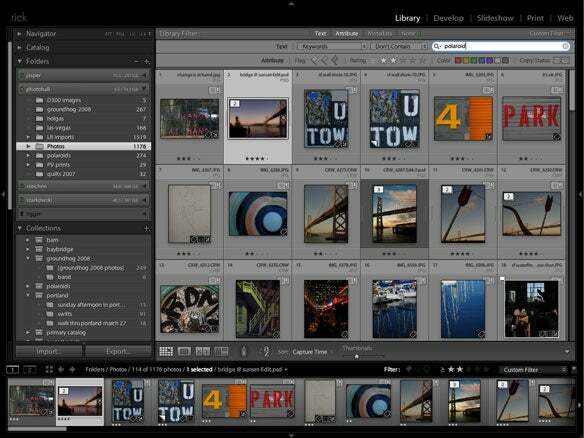 The Library module, the heart of Lightroom, has received the most radical restructuring. Adobe has changed the panels on the left side of the screen, reducing clutter by eliminating the ones related to searching, leaving primarily the Catalog, Folders, and Collections panels (the Navigator panel remains at the top). The search panels—Find, Keyword Tags, and Metadata Browser—have been eliminated, and in their place is a new Library Filter bar that sits at the top of the main window. One of Lightroom’s biggest new features, the Filter bar lets you quickly refine any set of images by their associated text (including file names, captions, and keywords), metadata (camera information), or image attribute (rating, label, flag). You can search for images based on any combination of the three filter categories, and you can create presets of your most common filters. It’s a much more intuitive way to locate your photos, and Adobe has done a good job of keeping it simple yet unobtrusive. In addition to the Library Filter, Adobe has added a Smart Collection feature, which lets you create albums (or collections, as Adobe terms them) based on any combination of the same set of criteria found in the Filter feature. If you’ve used the Smart Album feature in Apple’s iPhoto or iTunes, you’ll be right at home here. 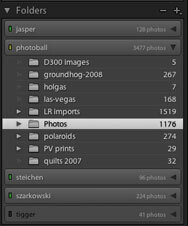 Photoshop Lightroom 2.0’s Folders panel includes LED-style indicators for the drives that store your comments. Green indicates that the drive is available; yellow means that the drive is available, but that free space is shrinking; and no light means that the drive is offline. The multiple Keyword panels and controls from version 1.0 have been consolidated into a single Keywording panel on the right side of the screen, with some significant enhancements. The biggest one is a new feature called Keyword Suggestions, which, as you apply keywords to an image or group of images, suggests other keywords from your library that might apply. It’s not perfect, but it’s pretty close, and it’s one more feature designed to make tagging images easy. The feature with the biggest wow factor in Lightroom 2.0 is the Adjustment Brush. This tool, found in the Develop module, lets you “paint” tonal and color adjustments directly onto your images with your mouse or tablet pen. The beauty of these localized adjustments, as they’re called, is that you can change only a portion of your photo without affecting the overall image. The Adjustment Brush can apply an additive or subtractive effect, using seven of Lightroom’s correction settings: Exposure, Saturation, Brightness, Contrast, Sharpness, Clarity, and Color. For example, you might want to increase the exposure in an area of a photo that is too dark. If you just increased the Exposure setting without a localized adjustment, the entire photo ends up overexposed. By using the Adjustment Brush to selectively add to the exposure, you affect only the area you paint. Generally, you’d want to use only one effect for an area, but you can mix any of the seven controls when you’re painting, even after the fact. If you’re working in the Develop module, pressing the K key instantly displays a pin for each of the masks in a photo; clicking on one of the pins displays that mask’s settings in the Mask panel. With it selected, you can adjust the intensity of the effect, change the type of effect (from Clarity to Sharpness, for example), or delete it altogether. If you’ve used any of the brush tools in Photoshop, you’ll feel right at home with the Adjustment Brush. You can simply remove parts of a mask by holding down the option key and painting out the areas you want. You can save frequently used settings as presets, and there’s even an Overlay mode that shows the area being masked, which, when used in conjunction with my Wacom tablet, I found extremely valuable for creating tightly contained masks. Lightroom’s Adjustment Brush lets you make tonal changes to specific areas of your photos. Here, I’ve applied a brush that adds 1.36 stops of exposure to the area in front of the clock. If I had just applied that amount of exposure to the entire image, the clock face would have become overexposed. Adobe has also included an associated tool called the Graduated Filter, which uses an approach borrowed from the photographic world. Adding a Graduated Filter to a photo creates a rectangular region where the effect is gradually reduced from the top of the region (where it would be strongest) to the bottom (where it would be weakest). This is similar to a graduated filter that you might place on a camera lens, to gradually darken skies, for example, and Lightroom’s Graduated Filter can do the same thing. But, like the Adjustment Brush, you can use the same seven effects (or combinations thereof) to create your own adjustments far beyond darkening skies. Recognizing that many Lightroom owners also use Photoshop, Adobe has made it easier to move files back and forth between the two programs. You can now select a group of images in Lightroom and create panoramas or high dynamic range images automatically in Photoshop by selecting a menu item in Lightroom; this is useful and slightly less complicated than previously. What many people will appreciate more is the capability to open a Lightroom image as a Smart Object in Photoshop, or to select a set of images and open them as individual layers in a new Photoshop document. For photographers who use Photoshop extensively to create collages, blended images, and complex layouts, these two options are huge assets, especially if you want to preserve some editing capabilities in Lightroom later. Support for multiple displays, something both Photoshop and Apple’s Aperture have had for years (and which I have always found incredibly helpful). You can set the second display up for viewing a grid of photos or a single image, or you can use it to compare images side by side. The Quick Collection feature, which lets you add or remove images on-the-fly to a special album (by pressing the B key), has been expanded. You now have the option of specifying any existing collection as the target Quick Collection. This is a time-saver when you’re working on organizing a large library, or after a big shoot. The Print module has a number of useful enhancements, but the biggest is the Picture Package layout feature, which lets you create multipage photo layouts for an image. It’s intuitive and flexible, and, like everything else in Lightroom, lets you save presets for reuse. Adobe consolidated all the search panels into the Library Filter bar at the top of the Lightroom 2.0 window, making it much easier to locate your pictures based on almost any criteria. Lightroom 2.0 is a remarkably full-featured program, but there are still a few missing items. Professional studio photographers will miss the fact that the program doesn’t include support for tethered shooting (a process in which your camera is connected directly to your Mac and images automatically download to it into your image-management program when you take a shot.) You can set up a watch folder that imports photos into Lightroom, but it’s not the same thing as being able to take a shot and have it immediately appear in your Lightroom library. Lightroom also doesn’t support photo books, something Aperture, iPhoto, and Photoshop Elements all do. It’s an odd omission, given how popular these are (and the large number of online services for building books). There’s also still no provision for soft proofing, which lets you view your images on screen via ICC profiles for your chosen printer, but people I’ve spoken to about this at Adobe feel that soft proofing is unnecessary for Lightroom. While I mostly agree with Adobe on this, I also know that many photographers feel they need this capability. In addition to the Adjustment Brush, Lightroom has a Graduated Filter tool, which lets you create effects such as gradually darkening skies. Adobe did not change Lightroom’s modal feel in version 2.0. Each module is self-contained and dedicated by task; when you’re in the Print, Web, or Slideshow modules, for example, and want to edit an image, you have to move to the Develop module to make any major changes. Although version 2.0’s usability enhancements go a long way toward easing this modality, some photographers will continue to chafe at the way Lightroom works, especially when contrasted with its primary competitor. I find Lightroom so powerful and easy to use that this is not an issue to me. If you’re not sure about how Lightroom will work for you, Adobe offers a free, downloadable 30-day trial version that is fully functional. 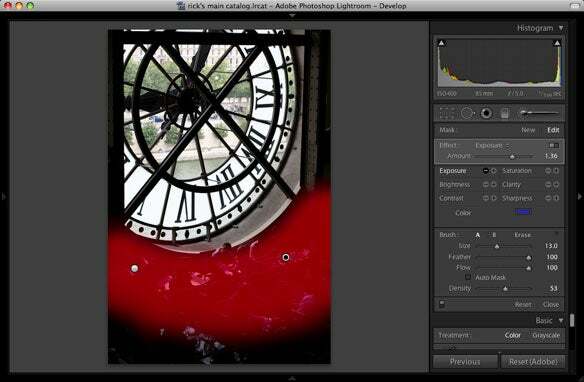 With Photoshop Lightroom 2.0, Adobe has smartly upgraded an already-strong product. For many photographers, the new Adjustment Brush and the advanced filtering capabilities will reduce the need to use external programs like Photoshop and Adobe Bridge, and are well worth the $99 upgrade price. But what’s most impressive about the update is how smoothly it works with you to organize and edit your photos; by focusing on improving the little things, Adobe has made an already good program even more usable. It’s not perfect—it’s rare that a version 2.0 of any product would be—but Lightroom is well on its way.